« 2014 in review, Thank you All! This entry was posted on January 1, 2015 at 1:26 pm and is filed under 1980s, Heavy Metal, Music, Uncategorized with tags Americans, Amon Amarth, Classic Rock, disco, hard rock, Heavy Metal, Mellow out rock, melodic rock, Ozzy Osbourne, progressive rock, Queen, The 1980s, The Sun, Toto, Wayne's World. You can follow any responses to this entry through the RSS 2.0 feed. You can leave a response, or trackback from your own site. Happy New Year. 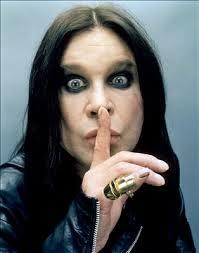 I hope the Ozzy disappointment is the last one you experience for the next 12 months. Thanks for giving Toto some attention. This is a great album that often gets overlooked (actually, the band themselves don’t get a lot of respect from critics or rock fans). Obviously it was a slight disappointment for you but they went on to record some heavier material in later years. Have you explored their deep catalog or just the early years. To be honest, I haven’t explored much of their stuff after 1984 but I will be doing so as I progress through the years. It was a slight disappointment but I didn’t think it was a bad album in anyway. 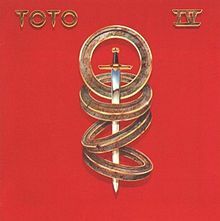 Toto were talented musicians and should get a bit more respect.